Donna McElveen currently serves as the Director of Field Education for the Master of Social Work (MSW) Program at Walden University. She previously held the position of the Director of Field for the BSW Program and Field Education Coordinator. Before coming to Walden, she served as the Director of a BSW Program in Minneapolis. 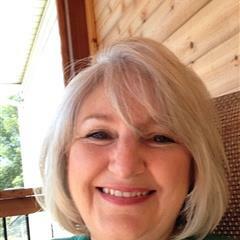 Her professional social work experience is primarily in the area of aging and gerontology. Other professional experiences include community mental health case management, social work with homeless populations, and court mediation. Meagher, P. J., Jacobsen, J. M., McElveen, D., Crews, D. A. (2017). Engaging diverse learners through a hybrid learning classroom.. Council of Social Work Education. McElveen, D. M. (2014). Supporting field education in an online environment. Council on Social Work Education. McElveen, D. M. (2015). Teaching social policy using wikis. Council on Social Work Education.